A host of shorebirds and pelicans were taking advantage of bait fish stranded in shallow water by a pipe in the water. 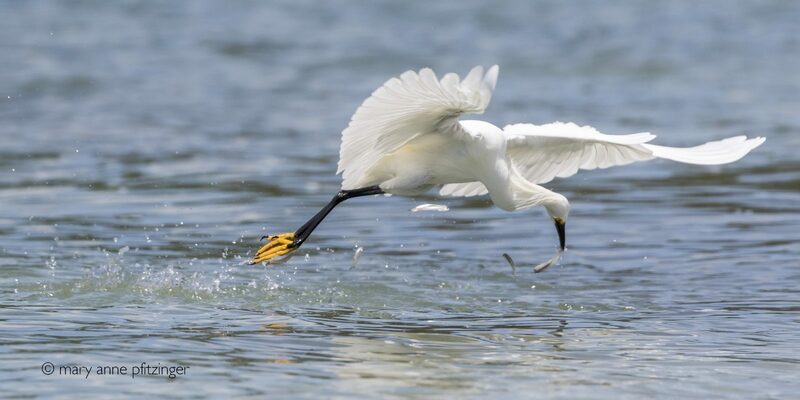 This Snowy Egret demonstrates it’s unique fishing style: dragging its feet in the water and causing the fish to leap, they are then snatched mid-air during low flight. Amazing and entertaining!